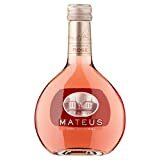 Mateus Rose – one of the first real wine brands, and a great marketing success story in the 1980s. Few people who were alive in the late 80s can fail to have missed the unique bottle shape and label, often seen in its converted state, as a table lamp! Back in the 80s, Mateus Rose captured the right mood, and helped make wine fun. Its frothy pink, slightly sweet style, appealed to wine drinking novices, and made wine unstuffy. In its heyday, Mateus Rose accounted for 40% of all Portuguese wine exports, and sold over 3.25 million cases, across 120 countries. Sales declined in the 90s, with the arrival of the big Australian brands, and a new style of wine – fresher, fruitier, drier. Australian sunshine was flavour of the decade, and Mateus was cast aside as a ‘has been’. 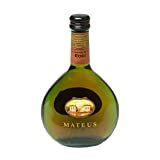 However a facelift and a make over means that Mateus is still around, with a new look, and whilst the heady days of 3 million case sales are long gone, it’s still nudging in at number 46 in the UK’s top 50 brands list and selling over 2 million cases across the world. What's The Background To Mateus? Mateus Rose was the 1950s-1980s version of a lifestyle brand! It was created in 1942 when a group of Portuguese wine families, set about trying to reverse the decline in fortunes, created by the World Wars. Port sales had tumbled, grapes were unused, and the new company, named Sogrape, targeted the lucrative Brazilian market with a range of red, white and a rose wine. 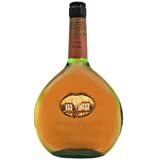 They used an unusual bottle shape, reminiscent of World War 1 soldiers’ flasks, and a picture of a neighbouring estate house on the label. After the collapse of the Brazilian market in the mid-40s, Fernando van Zeller Guedes spotted the opportunity in the UK, and launched the sweet, slightly fizzy, fruity wine on a public, who were just starting to wake up to wine drinking. Mateus was targeted especially towards women. The brand was born, and sales grew rapidly; at the same time Sogrape grew to become, and is still the largest Portuguese wine company. After a period of decline in the 90s, Mateus has had a revitalisation in the last 10 years, with a drier, fresher style, made possible by more modern vinification techniques. 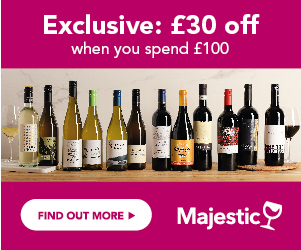 It is still an incredibly popular wine with sales of over 2.2 million, and whilst it may no longer be the height of fashion, it is still many wine drinkers’ ‘guilty pleasure’! 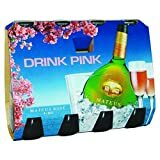 What Styles Of Wine Does Mateus Rose Make? 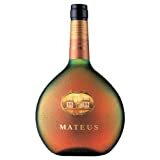 Alongside the iconic, original Mateus Rose, there are now several other Mateus style in the range. 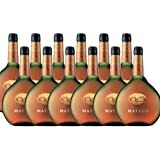 Mateus Rose – the original! A light, fruity, gently sweet Rose, with a light sparkle; strawberry scented, with a floral, sweetly fruity style. Mateus Shiraz Rose – capturing the popularity of the Shiraz grape, and a lighter, slightly drier, yet still very fruity style. Mateus Rose Sparkling – a fresh, zippy, sparkling style, with juicy strawberry fruit flavours. Mateus Rose Sparkling semi-sweet – a sweeter, fruitier style of the sparkling Mateus. What Do These Wines Go With? Mateus Rose – delicious on its own, or with lightly spicy food and fajitas. It’s also a good match for fruity desserts. Mateus Shiraz Rose – slightly drier, it will be great as an aperitif, or works with salmon and salads. 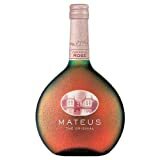 Mateus Rose Sparkling and Semi sweet – both of these work as an aperitif, or with fresh fruit, and light desserts.